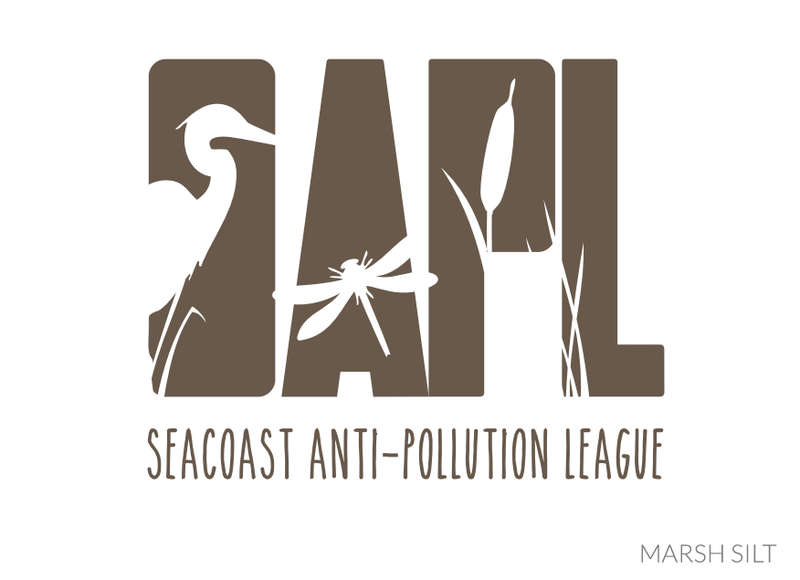 The Seacoast Anti-Pollution League (SAPL) is a nonprofit organization that has been serving Seacoast New Hampshire since 1969. 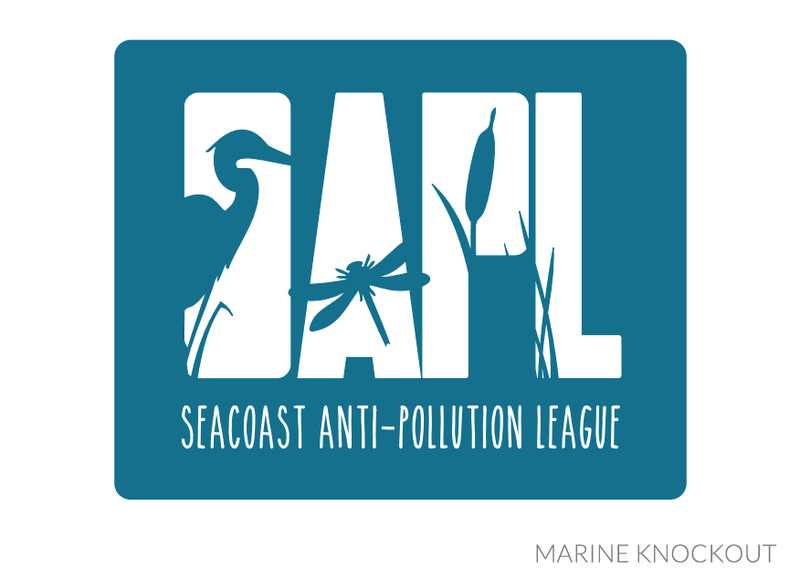 They provide education to the public while working directly with legislators to create intelligent, responsible, and effective change in public health and energy policies. 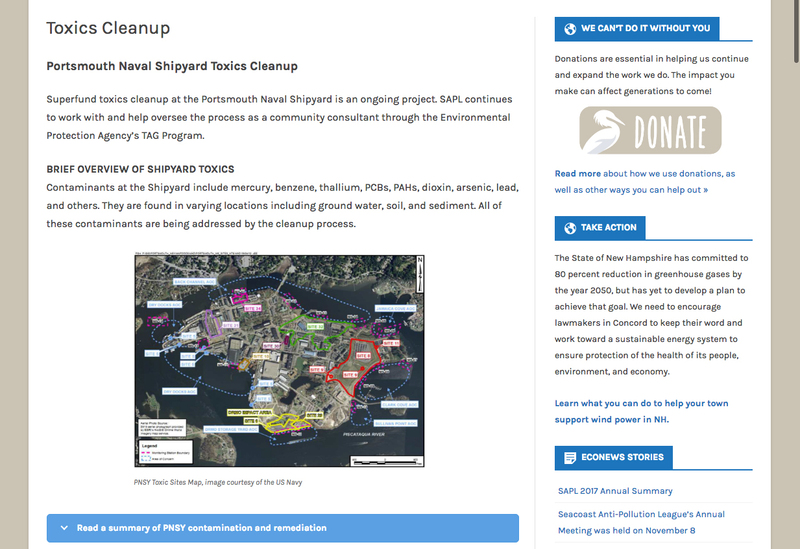 They also serve as a community consultant for the Environmental Protection Agency’s TAG Program, overseeing public projects, including Superfund remediation at the Portsmouth Naval Shipyard. 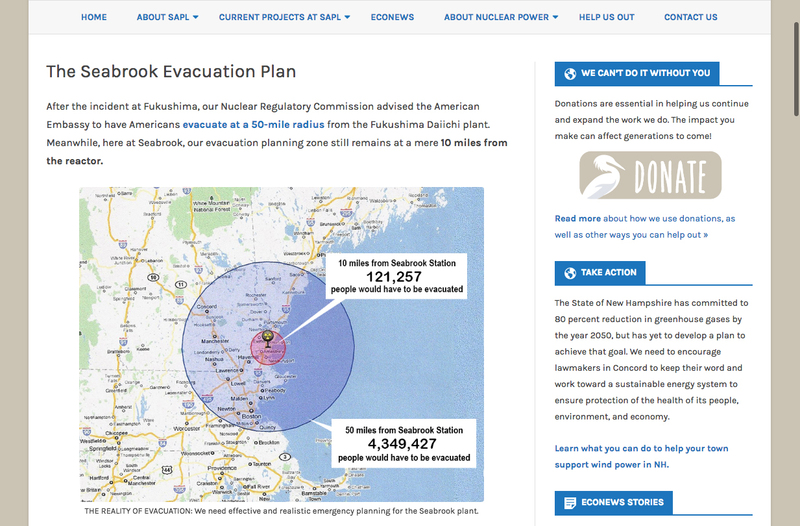 When SAPL came to me, their website was outdated and almost entirely composed of outside news articles. 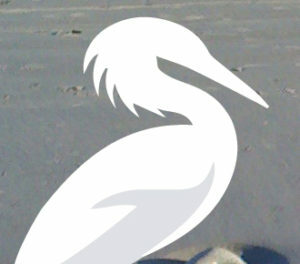 The group was simply too busy to sit down and write a website, so I set out to create them a site worthy of their work (while honoring their budget). 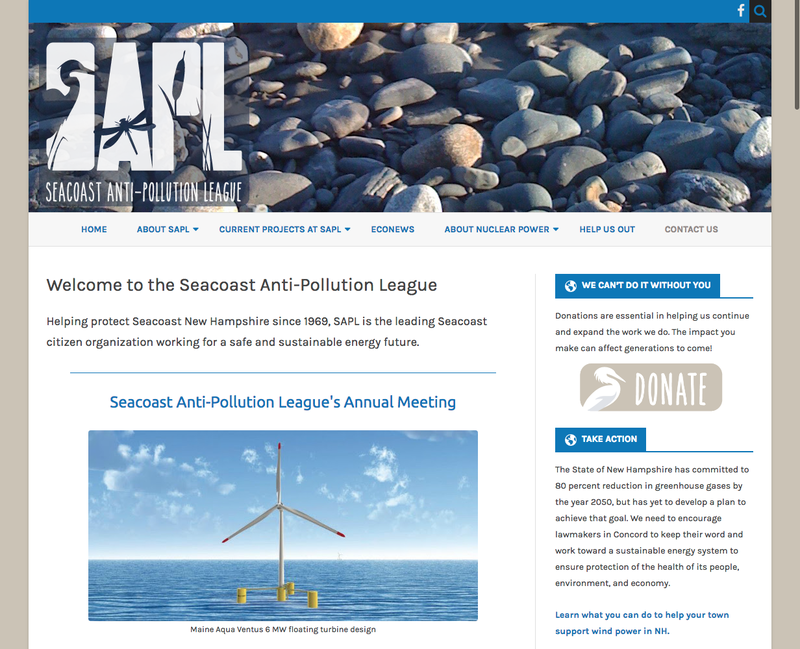 I built SAPL a website from the ground up, including custom graphics and a new logo. 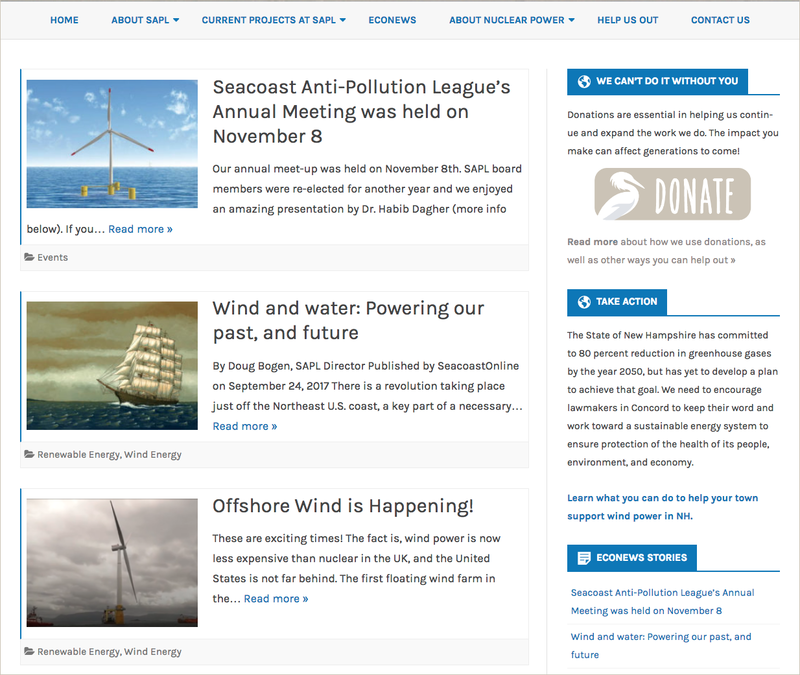 Through interviews with board members and director Doug Bogen, I learned about every issue that was essential to the group, gathered their information, researched each item, then created a fully-illustrated, well-written, and comprehensive website for the organization.